Thanks for your valuable suggestions and insights, which many of you generously offer when we talk with you each day. Most of our new products result from your input and requests. We're pleased to announce our new custom color engraving plastic for expanded color selection, and we will be introducing more fresh products in the months ahead. Now we invite you to look at some of our latest news from within the last year. What's new about such an old product? 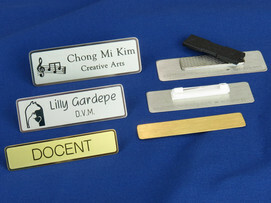 Well, part of what we do isn't new; we still use only real brass and real nickel for our name tags. 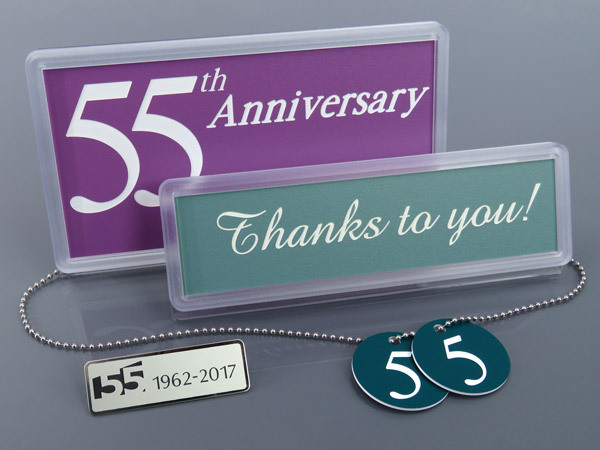 These metals are easy to engrave, so you're certain to have letters and logos with well-defined edges and solid-black logos. June 2017 - Our 55th! 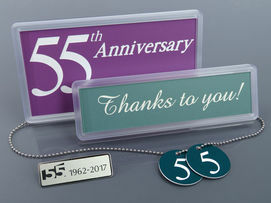 Working together, we've provided hundreds of thousands of signs and name tags around the world. Using our equipment and materials, you've made signs that provide direction, panels to identify equipment and name tags that introduce us to one another. And this year's new products help us to meet your needs with the latest and greatest. 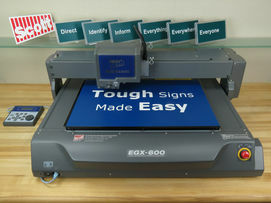 Thousands of clients have trusted in us for decades, beginning with our manual Scott Signgraver machines. Many of you evolved to using our Scott AutoGraver, and now we're expanding your upgrade choices with two new high-output engraving machines. More selection, more power, more opportunities to grow together. 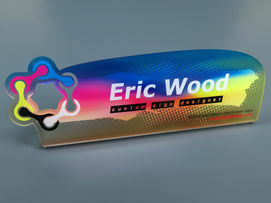 Our clients ask: If I design signs and name tags in Adobe, can you manufacture my signs and name tags? Today's answer: Yes, we can! You've wanted to engrave door signs and desk plates that match your corporate colors - especially in real estate offices, dental care chains and bank branches where corporate branding is essential. 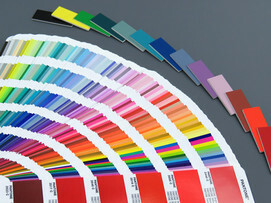 And you've wanted to specify engraving plastics in eye-catching accent colors you can install along the tops of glass cubicle partitions and in naturally-lighted offices. When we initially manufactured Spectrum™ engraving plastics in 1988, it was impractical to create small quantities of custom colors; now we can custom-color a single sheet! All year long, we'll introduce more eye-catching new products to help you Identify, Direct & Inform!